My 9 month old GSD is only 50 pounds. I am concerned. I am feeding him Blue Buffalo. What can I do to pick his weight up? He was the runt of the litter but the vet thought he would reach at least a 100 pounds. It doesn't seem like it now. Feed your GSD a good quality free of any grain dog food. That should be enough nutrition for your GSD. Feed your GSD the recommended amount of food that is printed on the bag. It will definitely help if you can afford to feed your GSD a raw food diet a couple of times during the week. The raw food diet is a more natural food for your dog and he will digest and benefit enormously with a raw food diet. I have a 5 month old GSD. He too was under weight for a few weeks. I feed him Blue Buffalo as well the chicken and wild rice because it has more fat and protein. If he is under-weight, just up his food. You don't have to go off of the growth/feeding recommendations for feeding. I feed Casheous 1 1/2 cup in the morning and 1 1/2 cup in the afternoon. Now he is 54 lbs at 5 months old. Also, if upping the food intake doesn't work, take him to the vet and make sure he doesn't have worms. I also have a very small little girl. I got her just 2 weeks ago she was 13 kg but she put on 7 kg in just over a week now. She's slowing down... in one week she's only put on 1 kg. I'm worried as i took her to the vet the day after getting her. The major problem is she refuses to eat very much. The vet has put her on a diet of chappie and rice as she also has a very bad digestion problem. She's settled down now since being on this diet, but she's very energetic and I walk her 3 times a day - with 2 trained sessions and one short walk of 30 mins with the other dogs off the lead, in the local fields. 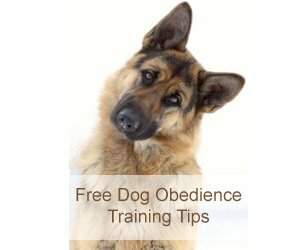 Our training sessions are based around retrieving and lots of sits stays and downs.